This MacBook Air A1369 came to our Southern California location all the way from Alaska. As long as you’re covered by the U.S. Postal service, return shipping is free! 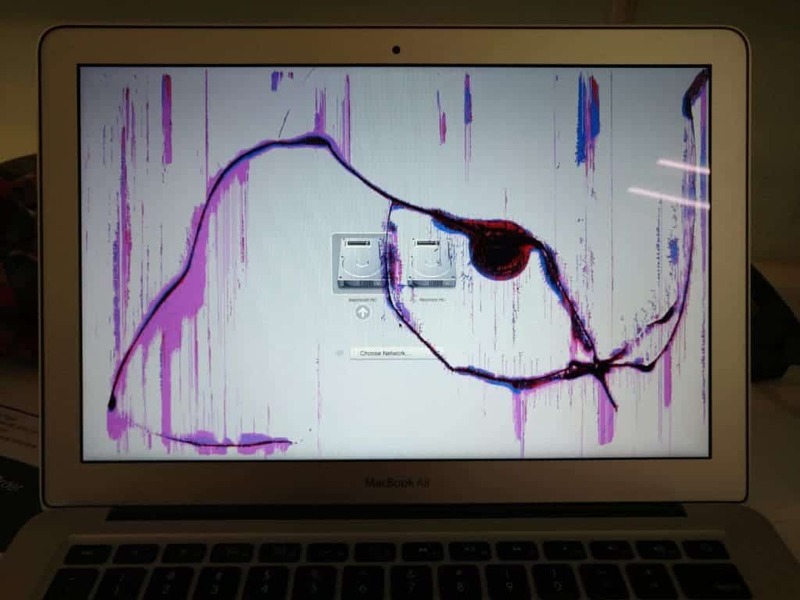 The MacBook Air displays the classic signs of a damaged LCD panel. Pink, black, purple, and red colors seem to bleed all over the screen, and there are vertical lines and a clear point of impact to the right of the center. A new LCD panel is all this laptop needs to get back up and running.